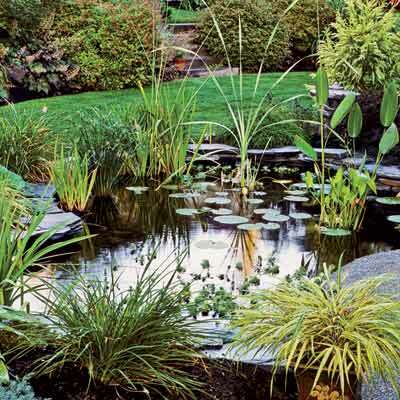 Preparing your pond for spring. If you have a garden pond, you will have probably noticed the first few signs of life starting to emerge from the state of winter dormancy. Fish that you thought may have disappeared return and nights are filled again with the sounds of frogs croaking. 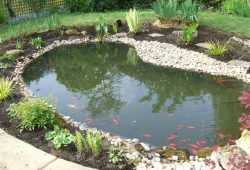 What you do to your pond in spring will have a great bearing on both the health and appearance of the pond throughout summer. In the article you will find some basic information on If you have pond plants such as water lilies and they have been in the pond for more than 2 years, they will need to separated. Signs that lilies have become pot bound include smaller leaves and fewer flowers. Lilies should always be potted in the largest pot possible and there are commercial mixes available for potting pond plants. You should also fertilize your lilies whilst repotting them with a pond fertilizer such Pond Flourish tabs. These contain nutrients specific to pond plants and will not encourage the growth of algae in the pond. If you have marginal pond plants such as Iris, it is likely that the foliage has been damaged by winter frosts so cut back the dead leaves, fertilize the plant and watch it spring back to life over the next few weeks. We have just received our first delivery of new season pond plants and will be holding a large range throughout spring and summer. As fish are cold blooded, the amount of feed that they require depends on the temperature of the water. 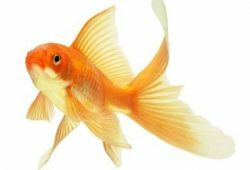 We recommend that the fish not be fed throughout the winter months as the fish cannot digest the feed properly and this can lead to an increase in waste that can fuel algae growth on the pond. Even in spring, feeding should only be undertaken a few days a week. 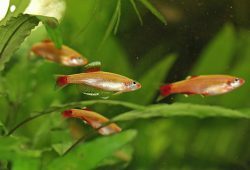 I like to use a spring formula fish pellet, which contains wheat germ and spirulina as these are easier to digest for the fish whilst the water temperature is still fairly low. In winter the water quality and clarity in your pond would be fairly good as the levels of waste and shorter daylight hours help to keep algae in check. However warmer weather and longer daylight hours provides the potential for algae growth. The best way to prevent algae problems in a pond is to fit a filter and Ultra Violet Clarifier (UVC). The filter breaks down the nutrient in the water and the clarifier will prevent the growth of algae that can cause green water. In fact some filters and Ultra Violet Clarifiers are so effective that they come with a money back guarantee if your water is not clear. Myself and some of the staff are qualified aquaculturalists and we are confident that we can solve any problems in your pond, so why no drop in and see us.